29.11.2018 Martial Arts Farris Mario M YCad KL Ara GAV -45 Mulas Gian M.
28.11.2018 A.S. New Body Line Usai Veronica F OCad LC Mar BMN -55 Cabras D.
28.11.2018 Koala Sport S.S.D A R.L. Pazzagli Giacomo M JrSr KL Gia GAV -85 Spanu G.
27.11.2018 Falkon Art Fit Club S.R.L. S.S.D. Curreli Matteo M Sr LC Ner BMN -74 Montixi A. 27.11.2018 KBtf S.S.D. A R.L. Bisesti Valentina F YCad KL Gia GAV 42+ Atzori Marco V.
27.11.2018 Kick Boxing Wolf Center Macis Ainhoa F OCad KL Blu BMN -42 Gessa I. 27.11.2018 Kick Boxing Wolf Center Demelas Alessio M Jr KL Mar BMN -69 Gessa I. 27.11.2018 4fitness Pisu Rebecca Angelica F YCad PF Gia GAV -30 Testa E.
27.11.2018 Silver Gym Argiolas Massimo M Sr LC Blu BMN -84 Giuliano S.
26.11.2018 Twinspanu KB Team Soddu Chiara F YCad LC Mar BMN -32 Spanu G.
26.11.2018 Twinspanu KB Team Spanu Alessandro M OCad LC Mar BMN -52 Spanu G.
26.11.2018 Twinspanu KB Team Nieddu Matteo M OCad LC Mar BMN -57 Spanu G.
26.11.2018 Twinspanu KB Team Mura Gloria F YCad KL Mar BMN -47 Spanu G.
26.11.2018 Twinspanu KB Team Nieddu Lorenzo M YCad LC Mar BMN -32 Spanu G.
25.11.2018 Falkon Art Fit Club S.R.L. S.S.D. Camba Fabrizio M Mstr KL Ner GAVBMN -74 Montixi A. 25.11.2018 Falkon Art Fit Club S.R.L. S.S.D. 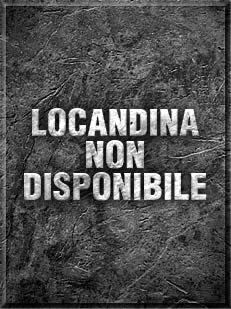 Marceddu Francesca F Sr LC Ner BMN -55 Curreli M.
24.11.2018 A.S. New Body Line Anelli Daniele M YCad PF Blu BMN -42 Cabras D.
24.11.2018 A.S. New Body Line Mascia Marco M Sr PF Ner BMN -69 Cabras D.
24.11.2018 A.S. New Body Line Deidda Mattia M YCad LC Blu BMN -42 Cabras D.
24.11.2018 A.S. New Body Line Floris Gabriele M OCad PF Blu BMN -47 Cabras D.
15.11.2018 Officina Emozionale Loriga Simone M Sr LC Blu BMN -89 Stara M.